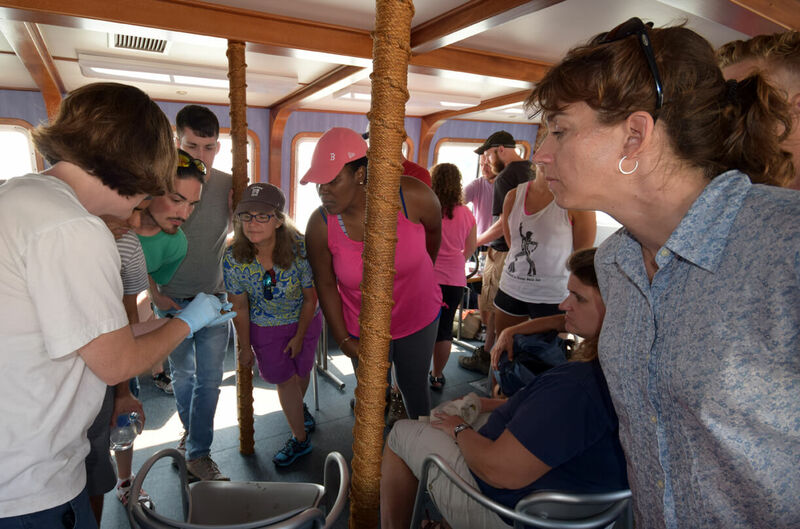 Students and faculty from UMASS/Boston’s School for the Environment began the fall term outdoors again this year; early in September they explored sites on and off the water in the Neponset watershed and Boston Harbor to talk about their work and show how it’s done. I tagged along and got some pictures. The School for the Environment (SFE) is the University of Massachusetts Boston’s premier transdisciplinary environmental school. The SFE integrates the natural and social sciences, liberal arts, governance, and business to generate and apply new knowledge about the quality of our environment and the sustainable use of its resources. Learn more.